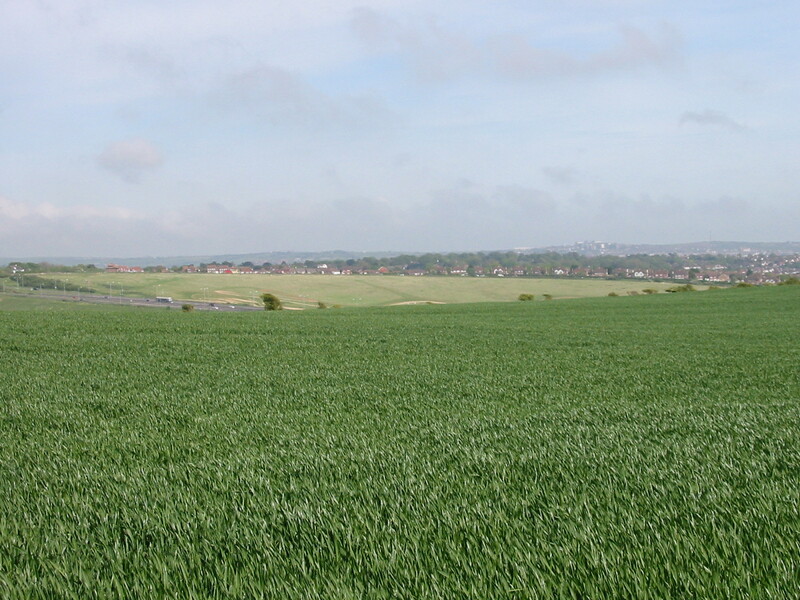 Toads Hole Valley is the largest greenfield site in Brighton & Hove allocated for development. It was left out of the South Downs National Park after it was severed from the downland when the A27 bypass was constructed. Currently there is an application to build 880 homes, a secondary school, business units, a community centre, doctor’s surgery and local shops. Whilst not against the development of Toads Hole Valley in principle, we have objected to the current proposals on transport and climate change grounds. In particular, the failure to properly cater for pedestrians and cyclists. The development will encourage car use, even with a bus serving the site, because it is all too easy to drive from one part of the development to another. Therefore, we believe the development fails to conform to the Local Plan and national policy. This site offers us a once in a generation opportunity to do something really quite special. Unfortunately, while there are some good aspects to this proposal, it is badly let down by its layout. The provision for people who want to walk and cycle is also poor. It will place pedestrians and cyclists in conflict on shared paths deterring people from leaving the car at home. There is an urgent need to reduce carbon emissions, as we have seen by the recent youth marches and numerous scientific reports. Transport is the one area where we are failing, and failing badly. Yet this development, rather than offering solutions for the future, will lock in the bad habits of the past. This will make it harder for us to tackle climate change, not speed us towards the path we need to take. The local shopping centre and doctor’s surgery need to be placed, near the community centre, closer to the heart of the community, so that it is easier to walk and cycle there. Pedestrian and cycle facilities need to be segregated to improve comfort, safety and attractiveness. While crossings need to be simplified. Currently the main junction has five separate stages for pedestrians and cyclists to cross to reach the southern side of Goldstone Crescent. Cars only have one. This is hardly prioritising walking and cycling as required by national planning policy. There is no excuse for not getting this right and we hope the developers will take on board these concerns and amend the application to produce something that is truly groundbreaking.